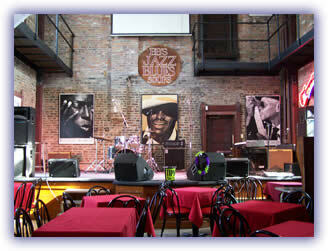 BB's Jazz, Blues and Soups is St. Louis' Premiere Blues house. 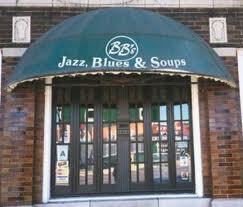 The 700 South Broadway building which houses BB's was known as Phil's Hotel as late as 1969 and has a colorful past. Since its original construction in the mid 1800's, in an area then known as "Frenchtown" with a further 3 story addition at the turn of the century, the location has been used as a home, boarding house, reception hall, merchantile, millinery, transient hotel, bar, diner, and a House of Ill Repute with 37 rooms between its 2nd and 3rd floors.